A fine design! 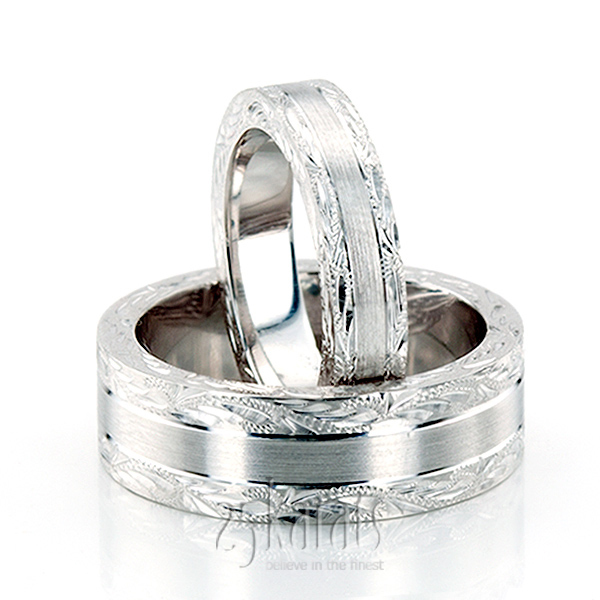 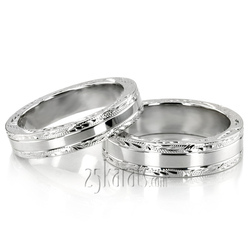 This 7mm wide Fancy Carved wedding ring set has a beautiful floral motif all around the edges. This wedding band is also available in 5, 6, 7, 8, 9, 10mm. 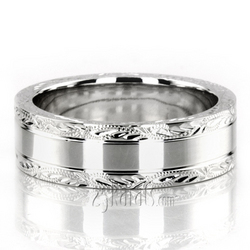 Center of the band can be finished high polished or satin. 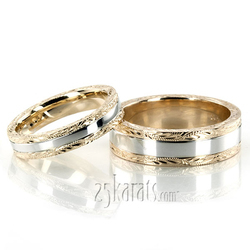 Total Gram Weight*: 24.1 grams.